CUSTOM 4 BEDROOM 3.5 BATH HOME WITH 204 FEET OF FRONTAGE ON PRISTINE MARTIN LAKE. Vaulted ceilings and stone fireplace in living room, wood floors in spacious kitchen/dining area and main floor master suite. Walk-out lower level has a 4th bedroom, laundry and family room. Extra garage on lakeside to store your toys. Extensive Trex decking and a 2.5 car detached garage with loft. 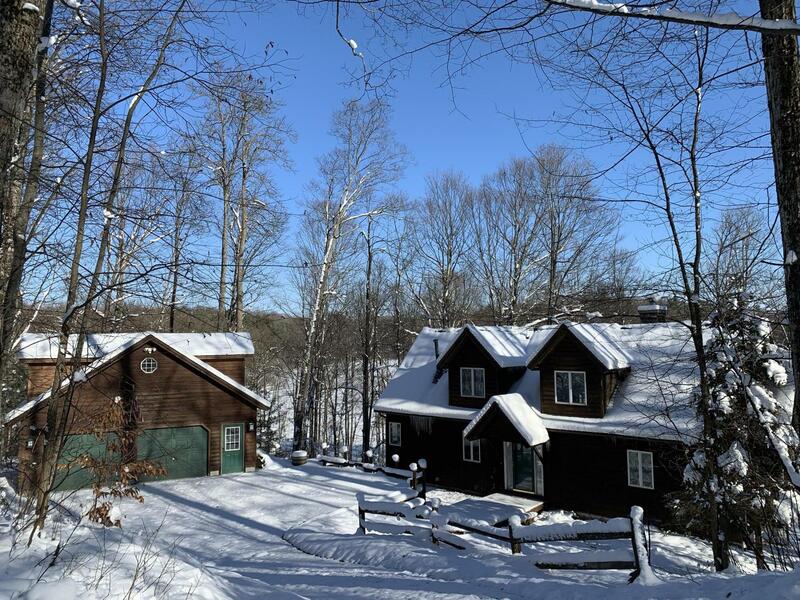 Close to golf, snowmobile trails and SKIERS, it is less than 30 minutes to BOYNE MOUNTAIN. Enjoy every season and all that Northern Michigan has to offer.